Dozens of Western politicians are expected to join a so-called club of friends of annexed Crimea next week, including MEP Yana Toom (Center Party). The International Club of Friends of Crimea should be created at a conference to be held in Yalta on November 2-3. The event has been keeping the West’s diplomatic corps on the edge of its seat for some time. The Kremlin has been successful in wrapping Western politicians around its finger in the past. Now, three years since the annexation began, the largest such project is underway. Foreign intelligence circles believe the aim of the event is to gradually legitimate annexed Crimea in the eyes of the West. facing; first and foremost [Western] sanctions and the actions of Ukraine. We are hoping for serious and long-term effect,” Muradov was optimistic. Muradov already has several trump cards. The creation of the club is being promoted by former adviser to former French President Nicolas Sarkozy, investor Jean-Pierre Thomas, while several European Parliament delegates, as well as Italian and Cypriot ruling politicians have promised to attend the event at the picturesque Livadia Palace. 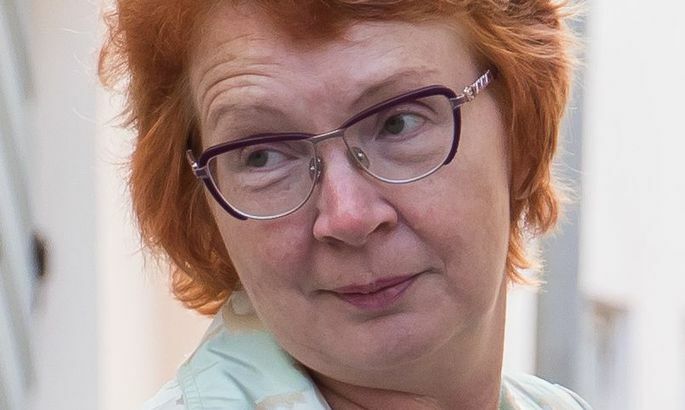 The Ukrainian embassy in Tallinn told Postimees that to the best of their knowledge Estonian MEP Yana Toom also plans to attend. “I have been invited; however, I will leave for China on November 5, so I don’t really have an alternative,” Toom refuted claims. The politician added that political context also rules out her going to Crimea. “I know full well that an event held in Crimea on November 7 – the anniversary of the October revolution – is not constructive,” she said. “I would like to go to Crimea – I have relatives there. However, I will try to look for a politically correct way of getting there,” Toom added. She said that while she has attempted to travel to Crimea once through the Ukrainian embassy, her request was denied. It is not difficult to imagine why the friends of Crimea need Toom. The politician is against the Schengen visa ban for residents of Crimea in the European Parliament – one of the restrictions the lifting of which Muradov wants to see. Toom wrote to High Representative Federica Mogherini this summer, asking whether the visa ban was sensible. Toom said that she was motivated to do so by the difficult situation of two Estonian families living in Crimea. After the annexation of the region, Russia gave them Russian passports, while the European Union will not allow the families to travel to Estonia with those documents. “The question was whether an exception on humanitarian considerations has been weighed,” Toom explained. She does not see her activities in the European Parliament as support for the friends of Crimea club. “Were I to travel to Crimea through Russia, it would be a clear sign. However, I do not see how asking Mogherini a question constitutes legitimation of the Crimea referendum. Several members of the European Parliament have flirted with the authorities in Crimea in the past. Latvian MEP Tatyana Zdanoka visited the region in 2014 that earned her a critical letter from EP president at the time Martin Schultz. German MEP Marcus Pretzell visited Crimea in 2016 and later admitted Russia paid for his trip. MEP Laurentiu Rebega of Romania attended the Yalta Economic Forum this year.